Can Presidential Election Years Forecast Stock Market Movement? Stock Markets and election years go together like oil and water. Super Bowl winners, Triple Crown Winners, and Sports Illustrated covers. All of these have been used to develop theories about the direction in which stock markets may be headed. Presidential elections and terms have also inspired a significant number of theories. Historically, economists believed people’s financial decisions were grounded in rational thought and a single-minded pursuit of their best interests. Theories about the economy were built on the notion that people unconsciously understand probabilities and make rational decisions. Psychologists and sociologists however weren’t convinced people were as rational as economists believed. Sociologists have found that having limited time and brainpower meant many people did not make well-informed decisions. Instead, they developed rules of thumb that helped simplify their decision-making. When it comes to investing, there are an abundance of rules of thumb. Since it’s an election year, you’ve probably encountered at least one article discussing the ways in which elections may affect stock markets and the economy. Let’s take a look at some of the stock markets strangest theories. Suggests stock markets tend to be weaker during the first two years of a presidential term and stronger during the last two. This is because before an election, politicians tend to promote a pro-business agenda. This is done so the economy is strong, the stock market is moving higher, and voters are feeling optimistic. 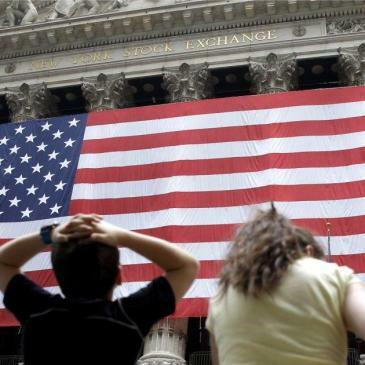 Analysts who have tirelessly crunched the data have found that U.S. stock markets tend to hit bottom during the second year of a president’s term. Although that is not always the case. There have been some notable exceptions in recent years during the final years of the Clinton and G.W. Bush presidencies. While history does suggest that the performance in years three and four of a presidential cycle are indeed stronger, many pundits argue that the true driver of performance is the overall macro economy. Suggests that stock markets perform better following the election of a Democratic candidate. In 2003, research published in the Journal of Finance indicated large company stocks did better under Democratic administrations. Later research from the Federal Reserve showed the difference in large company stock returns under Democratic and Republican administrations was negligible after you controlled for risk. Puts forth the idea stock market performance during political conventions may reflect investors’ expectations. This theory is very difficult to prove accurate without factoring in other data that can move the markets. The state of the economy and the stance of the Federal Reserve’s monetary policy is also worth considering. Is sometimes misunderstood. The theory states that as the stock market increases, the president’s popularity ratings tend to improve. Others have interpreted this theory to say that stocks rise and fall with a president’s approval rating, and not the other way around. Believes that fluctuation of the S&P 500 index increases as the probable winner of the presidential election becomes less uncertain. In other words, investors’ anxiety increases, causing markets to become more volatile. When they begin to wonder how the presumptive winner’s policies may affect the economy, we see that trickle into the markets. Suggests stock market performance following a presidential election correlates to gross domestic product (GDP) growth. This provides little data for investors since economic growth does not always translate into strong stock returns. In part, this is because economic growth may be the result of new businesses forming rather than existing ones growing. Clearly, a lot of thought has been given to the influence of presidential cycles on the stock market. Some theories that inform rules of thumb are clearly better researched than others. Regardless, none appear to provide actionable information that has the potential to benefit long-term investors. In fact, it is our opinion investors would be better served by selecting an investment strategy that meets their long-term financial goals. Chasing returns based on political outcomes is not a game worth playing.